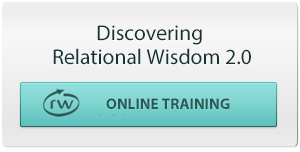 Discovering Relational Wisdom 3.0 is a live, one-day (8:30 am – 4 pm) seminar for churches, ministries, schools and businesses. This CEU-approved training costs only $49 per person and includes dynamic teaching, demonstration videos, small group discussions and practical applications. Students leave with a detailed study guide, a smart phone app that contains hundreds of articles, videos and FAQs, a personal growth plan that includes practical ways to apply relational wisdom in daily life, and access to $74 of scholarships for further training. The seminar is taught either by Ken Sande or one of our other Certified Relational Wisdom Instructors. This plenary address was delivered to 700 church and ministry leaders in Europe in 2016. It describes how leaders can apply many of the key principles taught in our full Discovering Relational Wisdom seminar. Cognitive learning – increasing knowledge while shaping thinking skills such as analysis, evaluation and application. These three dynamics are built into all of our live seminars. They are further advanced by giving every seminar student a full scholarship to our online course, which enables them to “work the yeast of God’s Word into the dough of everyday life” through additional teaching and demonstration videos, interactive online discussions and practical life exercises. One of the most exciting features of this seminar is its evangelistic potential. We teach practical relational skills in a way that makes non-Christians feel valued and welcomed, and we end the seminar with a winsome gospel message. This approach gives members of your congregation the opportunity to invite non-believing relatives, friends, and co-workers to an event that will not only teach valuable life skills but also, and more importantly, introduce them to the gospel of Christ. In addition, each seminar attendee receives a free smartphone app that contains both our faith-based (Christian) and values-based (secular) versions of key RW content. During the seminar we show how Christians can use the values-based concepts on the app to begin conversations about RW with unchurched friends, which can open a door for sharing faith-based concepts as well, including the gospel itself. Many churches continue this evangelistic momentum by sending trained RW instructors out into their communities to teach the “values-based” version of relational wisdom in businesses, schools, military bases and other secular settings, thus improving the relational dynamics of their communities and drawing people into their churches (see RW Pastor of the Year). The cost to sponsor this event is a $1,950 teaching fee for RW360 staff ($2,950 for Ken Sande), plus a $15/person materials fee, plus travel and lodging expenses. If a host charges our recommended fees ($49/person, $80/couple), these costs are typically covered by just 100 students (130 students for a seminar taught by Ken). All revenue in excess of the amount needed to cover these expenses will be divided 50/50 by the host and RW360. More detailed promotion and financial information is provided in the Seminar Hosting Guidelines given below. A Detailed Description of the Training is provided below. You can also review a sample Seminar Study Guide and Movie Blog posts, which illustrate how we use movie clips to teach relational principles. The detailed marketing, financial and administrative details for hosting a seminar are set forth in our Seminar Hosting Guidelines. To evaluate this training, see Host Endorsements and Application Testimonies. You may also email Jeff@rw360.org for contact information for several senior pastors who have hosted seminars and would be happy to describe how this training has impacted their leaders, staff and congregations. To attend a seminar near you, please visit our Seminar Calendar & Registration page. To invite us to present a seminar , please complete our Speaking Request Form. Once we’ve accepted in invitation, please complete the Event Information Form so we can feature the event on our seminar calendar.